Your yard should always make you smile, it should be something you’re proud of. We help you with lawn installation and stump grinding. 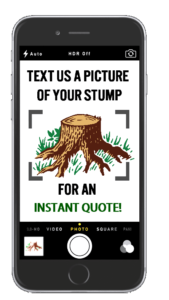 Since then, Stumpers has made it their mission to remove tree stumps quickly and affordably while guaranteeing 100% customer satisfaction. Stumpers may be a small family owned company but we have the equipment and workforce to handle any size stump removal job. We currently work with over 100 tree services, landscapers & general contractors throughout Connecticut as well as towns and cities. Since we are passionate about our work and are always striving to be on the cutting edge, we now offer a range of other services from full lawn installations, leveling & grading, stump excavation and in the winter commercial snow removal. 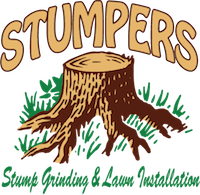 Whether it be residential, commercial or municipal, Stumpers can handle your stump removal needs.